Knowing the strategies to innovate and mitigate risk is essential for every company, especially those that are product-based. It’s key for a company to stay on top of how are you going to innovate, whether that will be through some new technology in your product, or bringing a new product being first to market, or expanding as a company and bringing more innovation to your process flow. Alongside innovation, the other element is to mitigate risks, whether that be a financial liability as you launch a new product, or operational risks as you move forward launching a new brand. Loren West of CPG Beauty and Beyond, an LA-based consulting agency, says there are always things that companies encounter typically. You should always try to take in mind to recap what risks you have and how to mitigate those from the start. 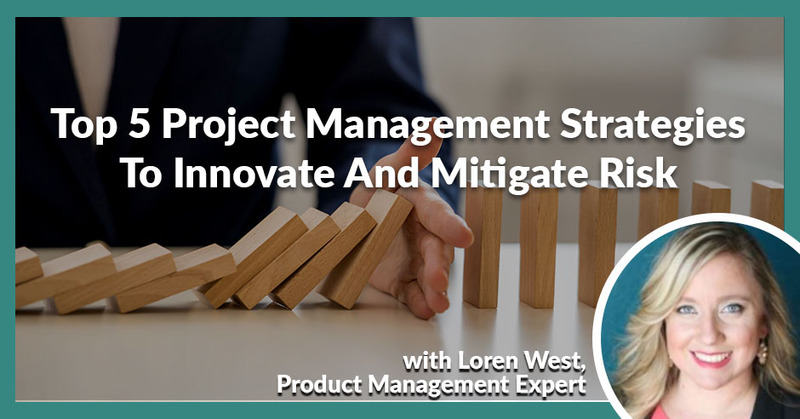 She shares the top five project management strategies to innovate and mitigate risk on your projects. My name is Loren West and I’m with CPG Beauty and Beyond, which is an LA-based consulting agency supporting entrepreneurs and established beauty brands to launch their products faster, better, and more efficiently. We’re going to talk all about innovation and mitigating risks to those areas, some top strategies your company can use or as you’re starting off building a new brand that you can keep in mind as you go to launch your new product. The topic is about strategies that you utilize to create better innovation and mitigate risk on your projects with specifically keeping in mind to beauty brands, but this could also be applied elsewhere if you’re a product-based company. The reason why these two things are so important is because it’s key for a company to stay on top of how are you going to innovate, whether that will be through some new technology in your product or bringing a new product being first to market or expanding as a company and bringing more innovation to your process flow. Alongside innovation, the other element is to mitigate risks, whether that be a financial liability as you launch a new product or operational risks as you move forward launching a new brand. There are always things that are typical that companies encounter and should always try to take in mind to recap what risks you have and how to mitigate those from the start. One of the first strategies I recommend when I go into different clientele, and once I’ve been able to establish and understand better how companies function, is to implement a Project Steering Committee. This allows teams, especially from an executive management and department leadership level, to get a big picture scope of what are we working on as a company. What is coming up next? What are some key issues and critical concerns with our current projects as well as for new product concepts that are coming up in the pipeline? What are some key dates we need to hit? What are some key liabilities we have issues with? This allows a platform of open communication, that’s one of the things that will tie back into on strategies number five along with teams and communication. Having a designated committee or even a meeting or whatever it might be for your company as you see fit as to implement a platform for that project communication to solidify it as important but nonetheless allows it as ongoing in your company. This allows team members to, especially at lower levels within an operational team or a product development team or creative team or packaging, highlight some professionals that may be working for you as well as from a marketing team to have that opportunity to present ideas and share about their projects to an executive team. Sometimes, there isn’t always that top-down communication. This not only serves as an option of servicing your project management needs as a company overall, but also allows team members to shine in a different way and presents a new product, ideas, and marketing strategies directly to upper management within companies. There is that exchange of ideas, interaction, and highlighting team members as they grow within your organization. It’s also a great opportunity to highlight and appreciate the team members that you do have and also looking to retain top talent, presenting new opportunities for people at your company. From an innovation standpoint as well as mitigating risk, this type of committee would have a variety of product launches that are reviewed for upcoming potential launches in the pipeline. In a launch or review, you’d be outlining key timing and liabilities that are needed and looking at no-go dates of when does a project need to be approved by in order to hit that launch date. For example, there could be a lot of initial concept design and formulation design, say four to six months, and as it gets closer to understanding when you need to order by dates are for different components and packaging, whether it’s primary packaging with bottles or jars or tubes as well as secondary. That way, you know key dates. Strategy number two is the Project P&L Statement. That can also be presented and reviewed in a steering committee or secondary, it can be reviewed just one-on-one with upper management or whoever is designated to get those P&L approvals. Not a lot of companies, especially as they start out or even as they’re established or million-dollar brands, don’t always have the profit and loss statement for their projects in place for an overall review and approval. Sometimes companies are looking at small pieces of the puzzle as they’re building projects. Having all this information reviewed, sometimes things get missed through the cracks or not everybody is aware of what the margins that are or what’s needed to be able to make what profit you want to make on a particular product launch. Having all this information together in one spot for a final overall approval is needed. Sometimes, the challenges companies face is getting all this information together quickly but being able to build in better project planning initially is strategic in setting up to get a profit and loss statement established. What that entails are the cost of goods, understanding the desired packaging options you might have, and running down different scenarios with your teams. if you’re starting out, reaching out to a cosmetic manufacturer, and looking at all the different avenues of how could you produce this product and what is your target if you want it to be a prestige beauty brand product or a mass-market brand level. Both have two different price point ranges and looking at where your cost of goods needs to be in order to have it profitable for your company to consider. The other thing is to have your initial launch forecasts, especially a six-month projected sales plan so that way your operations team has a flow and better understanding of what’s going to be coming next and what are the component needs in the next three to six months after you initially launch it. Also getting clear on desired packaging options, that can come both in play from a PD department that your company may have as well as a creative department and bringing in that branding element to as well. From the product to the design itself to the color and to how exactly do you want to communicate a message about this product and how do you want consumers to fill. This ties into all those desired packaging options and looking at what makes sense for your company as a business. Consider your product volume overall, a lot of companies that are established, especially in the beauty business, are running first to market and trying to get launched as quickly as possible. What is the true capacity of your teams, whether your company is set-up to produce everything in-house or you’re relying on outside vendors to do all that production? Looking at what your teams can take on and capacity wise over a given month. Strategies To Innovate And Mitigate Risk: Consider your product volume overall. Look at what your teams can take on capacity-wise over a given month. I also like to do for clientele or I recommend on setting up is some type of Launch Calendar and Timing so that it’s understood from an executive level how many projects are currently being worked on and what’s coming next. You can plan ahead and understand, “Quarter four of next year is going to be busy, maybe we want to give our teams a break in quarter three or we might want to revisit and then remap out to make it a better flow so one quarter isn’t too heavy over another.” There are always multiple reasons for doing that as well. Even in a profit loss statement, understanding launch timing and when best to get that out for everybody involved is key as well. From a strategy standpoint, number three is looking at Product Concept Documentation and Initial Market Research. A lot of times smaller beauty brands may not have a formal structure and may not be designed with a corporate background as some other beauty brands such as Murad and Coty. It’s about having enough documentation to not only understand what exactly I’m working on but to routine a history of what your teams have been working on towards innovation. That way, if you’re doing project planning or product planning for the next year and you want to map out what exactly do you want to launch for 2019 or 2020, you can have a resource of, “Here’s some initial concept request that we worked on.” Let’s say we didn’t move them to the go stage and approve them yet, but we still have all this information of what we can go back and rely on and some initial research that we did before. What that entails is I’ll set up two separate forms, an initial concept request form. Going from a marketing sales department or visionary department that works with your executive team or entrepreneurial-type company is a concept request form that goes into a PD department. You can send this out to a contract manufacturer to do some initial research for you as well on this. That form will have all the information to do some initial research and that will include a few product benchmarks the marketing team is looking to identify with. Whether that might be a competitor but brands product that you want to emulate or there might be a new ingredient that is very popular or something that hasn’t been tried in a beauty product before that might be interesting, so there might be some additional research that is desired to be done to see if that’s even feasible or wanted. People also look at innovation in terms of what skin issue they want to accomplish. Do you want to get rid of redness? Do you want to help with hydration? Do you want to help with clarity of the skin and balancing out skin tone? Looking at the benefit of the product comes into key information providing on these types of documentation. What you don’t document, you can’t track. I recommend taking a look at your documentation in general as keeping track of what exactly are you analyzing to establish as innovation for your company. Having that market research, understanding what other companies may already be working on something similar to this or maybe a company might have teased in their consumer marketing that they might be launching something soon, understanding what other competitors competing with your own launch coming up, and what you might be competing with. Do enough initial market research and relying on there are different companies out there that will offer research as well. I haven’t found a whole lot of them to be concrete and great that I would recommend over another, but there’s always another source out there. Part of this research also leads to my strategy number four, which is staying in connection with your industry and vendors. Leveraging the relationships you do have in the industry, whatever that might be, and for those companies that utilize outside manufacturing, rely on them to tell you what’s coming next and what’s an innovative thing to bring to market. A lot of manufacturers will work on custom formulas for you based on what you desire to do, but they also have a pulse on the beauty industry if that’s what they cater to, they’ll have some directional expertise to rely on as well. Besides just keeping that relationship going with your current and new suppliers, it’s also utilizing a lot of different resources that are out there that can be in person, online, and in print. For example, beauty trade shows are great to meet new people, create new connections, see what other brands are doing, see what’s out there and what’s coming next. I went up to Las Vegas and attended the Cosmoprof North America show, which happens in July in Vegas every year and it’s CosmoProfNorthAmerica.com. That show basically encompasses everything but from a professional, contract manufacturer and brand side. There are lots of things to see, especially if you’re an entrepreneur or considering getting into the beauty business, it would be a great thing to try to connect with and go. If it’s too far for you, they have the ISE show which is hosted in Long Beach every end of January, it stands for the International Salon and Spa Exhibition, that also caters to brands. It’s a smaller show than Cosmoprof, but it does do a lot of product cash and carry so you can get better deals there and carry out product from that show. They have a couple consumer-based shows that might be interesting to see how these other outfits are serving consumers, so you can start to see some additional trends that are coming out. They have beauty con that’s hosted in LA, which are held every July. They also have a show in New York. That particular show is only held at the two locations, but they’re heavy markets for both LA and New York. It’s consumer-based, so you can see what’s being marketed at the very end to consumers. Sephora has a new show that I might be attending myself called SEPHORiA and it’s going to be a consumer-based show. It’s going to provide a marketplace for various different beauty entrepreneurs to speak at. It’ll be interesting to see what that is all about. Another resource I know a lot of companies tend to utilize, it’s great to connect with, is what’s currently coming out in magazines and beauty blogs as trends. One of which is I follow the Global Cosmetic magazine. They do a free digital online subscription newsletter, which comes out with great things coming up. Having a pulse on what might be happening from larger conglomerates to what trends are coming up, what beauty companies might have been acquired recently, products, packaging, and any new innovation. There’s always a lot of articles and resources there. Keeping a pulse on the relationships you have with your current suppliers and when you get new suppliers and nourishing those relationships and setting up regular meetings, doing typical audits. As you obtain a new supplier, what exactly do you expect of them? Establishing how you want that relationship to be can also nourish your brand and your business back when you are looking to rely on them to mitigate risks, go back in and be able to shrink timelines for you and turn things around quicker. The relationships with vendors are a two-way street. Is there an opportunity for you to refer them to somebody else? Are there options for cross partnership in different collaborations? You never know what might be coming next in that way. It’s valuable to nurse those relationships as much as possible because they help you, especially as you’re connecting additional trade shows, they might know additional vendors that can help you with your next product launch. Most companies are using multiple vendors to get something done, whether it’s from the decoration side for components or component manufacturing or actual filling too with some companies needing other outside resources to fulfill the distribution and warehousing for them. Everyone’s so connected in the industry that it’s good to nourish the relationships you do have. 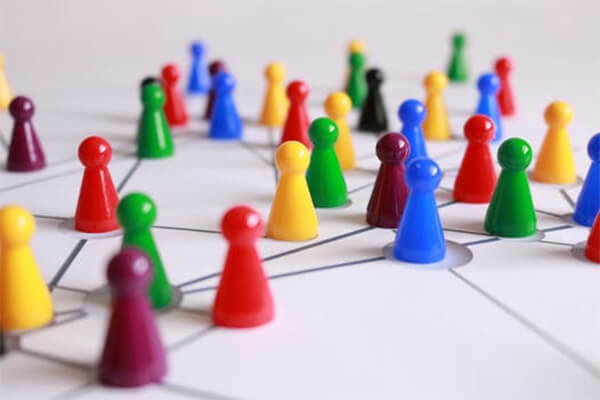 Strategies To Innovate And Mitigate Risk: Everyone’s so connected in the industry that it’s good to nourish the relationships you do have. My fifth strategy is that I want to remind people to leverage team brainstorming. It’s so easy to think of, “What can we do next?” There’s a lot of pressure on management to understand, “Where exactly should we innovate? How are we going to solve this problem?” Or from an operational standpoint, to get something launched out the door. 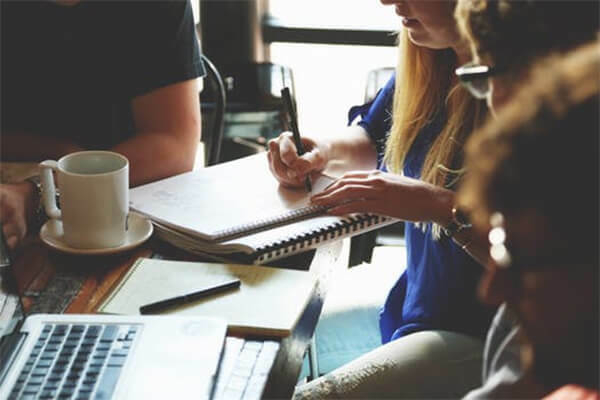 To leverage the team you have, brainstorming is great for that through having regular ongoing scheduled meetings where you can obtain frequent feedback from your team on how can you improve in different areas. 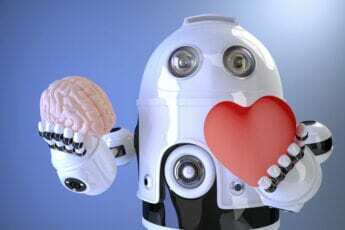 Whether it’s a process of how you are obtaining innovation and approaching that or also mitigating risk and understanding as a problem arise, “How can we solve this quickly and most efficiently?” or being open-minded to new ideas. 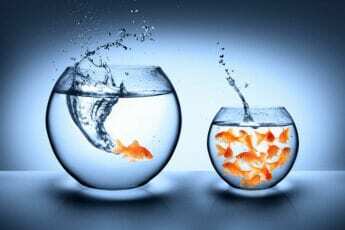 I find a lot of executives at the higher end, larger conglomerates tend to be stuck in ways that they know and what they’re doing. Being open-minded, especially as companies obtain new talent, leveraging the resource, and experiences that people have had throughout their professional careers. It’s important to give your team members space to transparently share with what has worked in the past for them or what they found helpful or what even didn’t work at other companies. As you’re approaching new innovation and learning how better to get your projects launched out the door, be open-minded to what might be presented to you, and have that open communication between a team at the very basic level of the A to Z parts and your leadership to have recommendations flow both ways. By having all this brainstorming, it will help create that open communication that’s needed to ensure that you’re having the most effective launch experience for everybody. With that open communication, that sidelines even into a sixth strategy. Even having that ongoing project communication, I find a lot of companies tend to be very siloed, whether they’re larger or smaller. A lot of departments, whether it’s operations or PD or finance or executive team, a lot of different teams are holding on to information without having openly shared. I’ve found a lot more when teams are able to set their egos and opinions of each other aside from the respective, “What do I do versus what you do.” A lot of magic can happen when you’re able to lay out all the challenges on the table because you don’t know where your next idea, is to help fix that problem, may come from. As you’re getting on the same page, having ongoing project meetings where all the liabilities are listed or the open concerns from an operational standpoint of how we could produce this better or could we change the design into this. Having a lot of that open communication as new innovations being decided upon an initial stage is key. Looking at your team as a whole and everybody trying to help to get the product out the door faster, better more efficiently is having that open communication. I want to recap the different strategies I mentioned prior, looking at establishing a project steering committee if you don’t already have that and ideally, that would be quarterly or at the very least bi-annually. Most companies are planning six months to a year at a time and relatively can even be two years out to consider implementing some type of a Project P&L Statement. Looking at the financial aspect of it and how it sells on the back end. You can do an initial P&L, but didn’t sell how you expected it to sell, did everything come and cost wise that way? Were there any changes with their forecast change later on that was different than the initial approved stage versus what actually happened? Looking at those two comparisons is very important as well. Strategy three, looking at documenting the type of concept request and initial market research that you do so you have it as a reference for later on and having a clear picture of what did you work on for this project and what’s coming next, so you have a whole paper trail. Just remembering to stay connected to your industry and vendors and to rely on them as a resource as much as they rely on you for continued business. Develop that relationship into a partnership and how can you help them as much as they can help you. 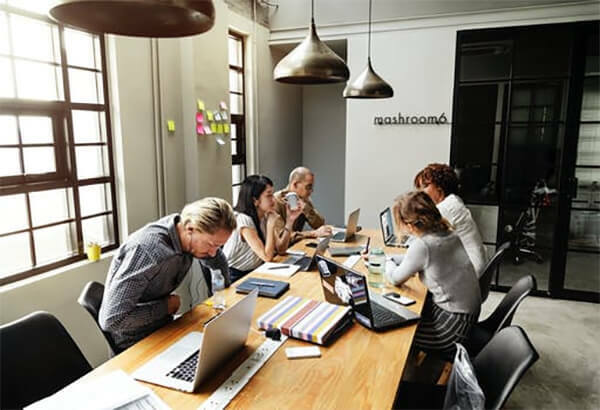 Strategies To Innovate And Mitigate Risk: Having brainstorming feedback sessions allows you to find hidden gems within your company. The other resource I’ll add on here is the PBA, Professional Beauty Association. I belong to them for maybe around four or five years now. They are great both from a brand side as well as an individual that’s working in the beauty industry as well. They have a lot of resources, additional things that are on their website and they do a monthly newsletter as well. I found that to be helpful too. Leveraging your team because you don’t know who you have on your team unless you give people the open key to share. I have found that to be most helpful even when walking into different circles and understanding where they’re at, where their backgrounds are and what they can bring to the table. Having those open type of discussions of, “How can we improve this? What do you see as an issue for improving innovation at our company?” You never know what some people might bring to the table or an idea of how to switch a process or a new product idea they might have, that you would have never known if you hadn’t asked. Having these brainstorming feedback sessions allows you to find hidden gems within your company, whether it be a product idea or you hired great talent that you not only confirmed on but you definitely want to retain for the future. Tracy, I’m not sure if you’re on at the moment. We don’t have any questions that were submitted in advance. They missed out on asking you something bad. I did not know that SEPHORiA exists, I want to come with you for fun. I’m with SEPHORiA but I was up in epic Cosmoprof and there were some people up there that had no idea about it either. This is important for your audience, the benefit of being in the know. What trade shows are coming up and where should I be? That insight is so valuable, thank you for sharing that with us. If people want to find that, it’s on Sephoria.com. They have their own website for it and for the tickets, I am trying to confirm more details about it because the website’s a little unclear to me of what exactly I get at different ticket offerings. Their price ranges from $100 to $500 and it’s only for one-day admittance to their two-day event. You can only go one day with your ticket and you would have to buy two $99 ones if you want to go both days. I’m trying to get some further information of exactly what that is. It’s their first event doing this, so they may not totally know and they’re just prelaunching this and seeing how many people initially sign up. I know that there are going to have some brands represented there. Thank you so much, Loren. We appreciate it. Until your next episode here on Product Launch Hazzard. Thank you so much for having me, Tracy. I appreciate it. Tune in to Loren West next Office Hours. 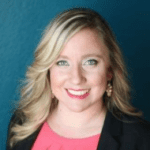 Connect with and find out more about Loren West in our Experts Directory.